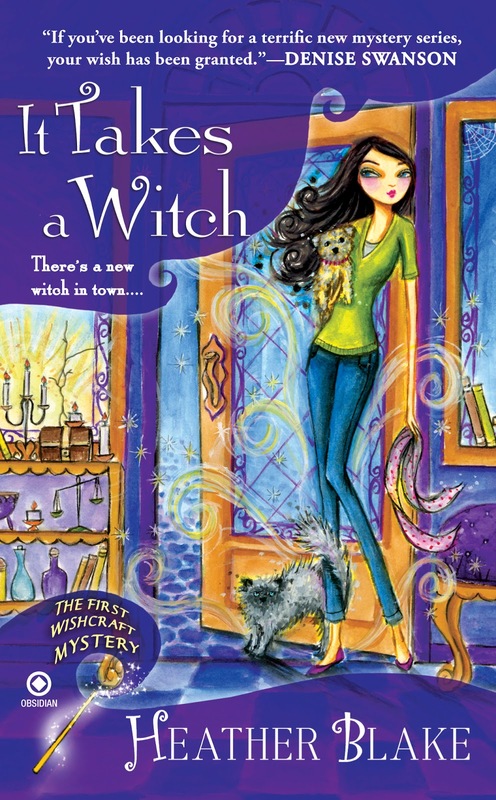 LESLIE BUDEWITZ: Welcome to our guest, Heather Blake, joining us to celebrate the May 3 release of GONE WITH THE WITCH, the sixth book in her Wishcraft Mysteries! One of my favorite flavor combinations is chocolate and peppermint. So much so, that I keep a year-round not-so-secret stash of Ghirardelli peppermint bark for those days when I need a little something to calm my nerves. 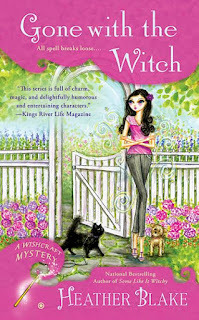 Lovable witch Darcy Merriweather, the main character in my Wishcraft mysteries, shares a similar trait of turning to chocolate and peppermint when anxiety hits, though her stash consists of York Peppermint Patties, which she prefers frozen. 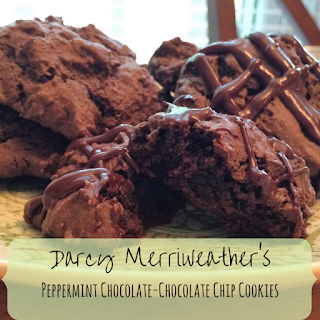 In honor of our love for chocolate-peppermint combinations, I came up with this cookie recipe to share with all of you. These cookies are cakelike, moist and dense. Leave as is when pulled from the oven or drizzle with a mint-chocolate ganache on top for an extra bit of gooey goodness. These are great with a cup of coffee, tea, or tall glass of milk. What’s your favorite go-to stress food? 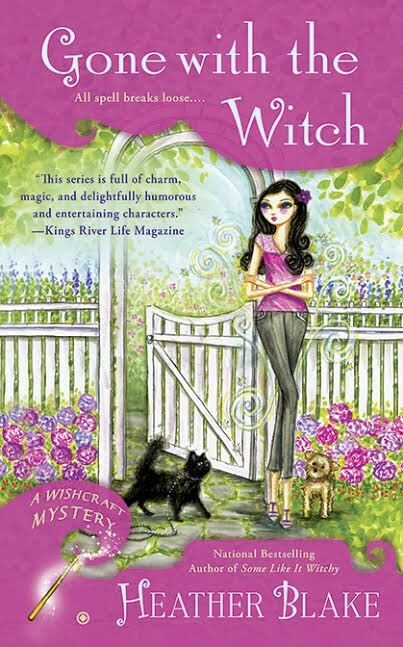 Leave a comment by midnight, Monday, May 9, and you could win a signed copy of IT TAKES A WITCH, the first book in the Wishcraft series. In a bowl, cream together butter and sugars until smooth. Add eggs, one at a time, then add the extract. In a separate bowl, sift (or whisk if you don’t have a sifter) together the flour, salt, baking soda, baking powder, and cocoa powder. Gradually add dry ingredients to wet mixture. Mix well. The dough will be thick. Set mixture in freezer for ten minutes to firm up. Once firm, roll the dough into balls (I used two spoons to shape the dough), and place a couple of inches apart onto an ungreased or parchment-lined baking sheet. Let set for a few minutes before moving to a cookie rack to finish cooling. Once cool, drizzle or glaze with chocolate-mint ganache (optional). 2-3 drops of peppermint extract (a little goes a long way). In a double boiler (I use a glass bowl nestled over a simmering pan of water), melt chocolate and butter. Remove from heat, add extract, stir. Let cool. Drizzle over cooled cookies. Heather Blake (aka Heather Webber) is the author of more than twenty novels and has been twice nominated for an Agatha Award. She's a total homebody who loves to be close to her family, read, watch reality TV (especially cooking competition shows), drink too much coffee, crochet, and bake cookies. 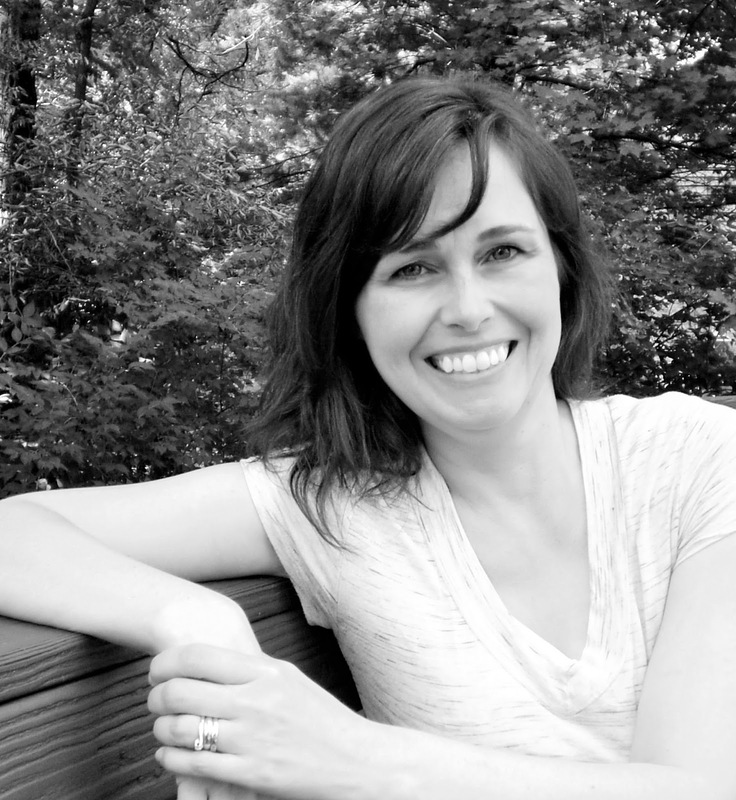 Heather grew up in a suburb of Boston, but currently she lives in the Cincinnati area with her family. The cookie's sound good. I don't tend to eat when I'm stressed. Most of the time when I want a snack I grab fruit. Especially cherries when they're in season. Fresh cherries are heaven. Here in Ohio there's about a one week window to buy them, though. Wish it were longer. Those cookies look really tasty---I love the chocolate/mint combo, too. But my favorite stress food is pizza. I've noticed over the years that some people respond to a mild-but-heightened level stress by eating, but others don't. I have so many comfort foods I couldn't name them all -- pasta, cheese, cookies, even bread -- which is why we don't keep it in the house! Ice cream only since I discovered Tillamook's Salted Caramel and Oregon Hazelnut, esp with my Chocolate-Cabernet sauce! That's too funny. I also keep a stash of Ghirardelli Peppermint Bark. I may not make it until November, but pretty close. Thanks for sharing and for the recipe! Lol! You're better than I am at hoarding. Mine usually lasts only till summer. 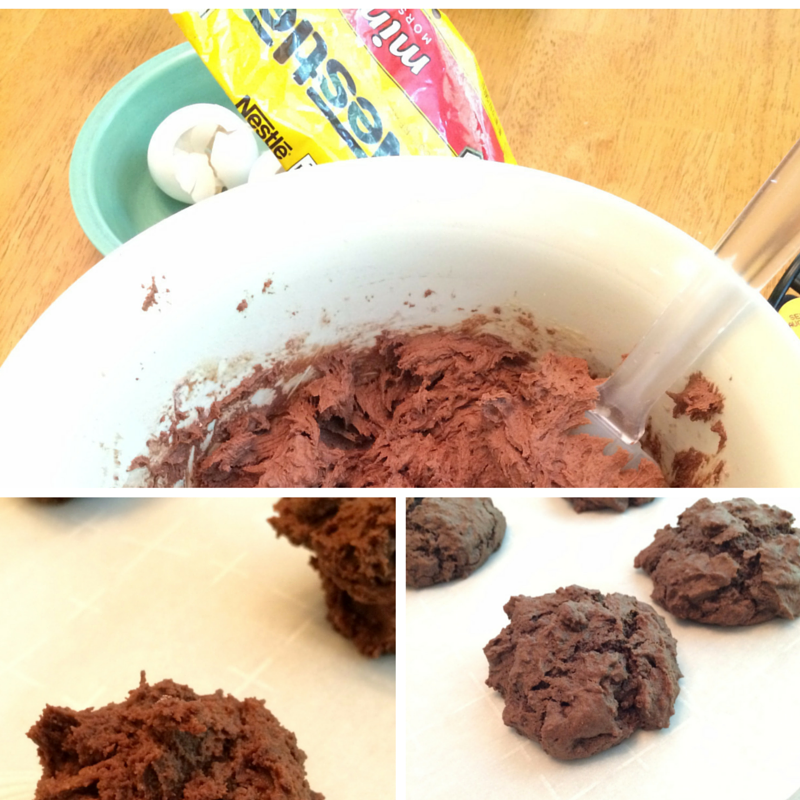 Every time I read on your blog that you are baking cookies, Heather, I get hungry! Lots of sweet stuff works, but when I am really wishing I had McDonald's I realize I am stressed. Not sure where that came from but fortunately I have to leave the house to get it so off pass it up. Such cute stories. Thanks for the giveaway. Lol. I'm a cookie lover that's for sure. Whatever brings you comfort is good with me. Chocolate, chocolate, and more chocolate. Dark, of course. Not eat when stressed?! How can that possibly be??? These cookies sound just about perfect. Yes it does...now all the things I used when I was teaching as stress relievers are just fun! Spa visits, chocolate cookies, a glass of chilled Pinot Grigio! My favorite stress food, is chocolate, it can be choc chip cookies, choc ice cream, choc candy bar.... ;-) and Ale 8 (a soft drink here in KY....it's basically a ginger ale drink with a kick...) ;-) Happy Mother's Day Everyone! Donna, I'll have to look for that next time I'm in KY. I could have used these stress reducers last week! Thanks for the wonderful recipe, Heather. These are on my list for the next book deadline! Thanks, Krista! I hope life is being good to you now. Betty Crocker devil's food cupcakes and a big glass of milk. I forget how easy cookies are to make, I'm going to have to give these a try. That cake sounds good to me right about now!